Replenish your wardrobe basics with this A-line dress from Disrupt Brand. 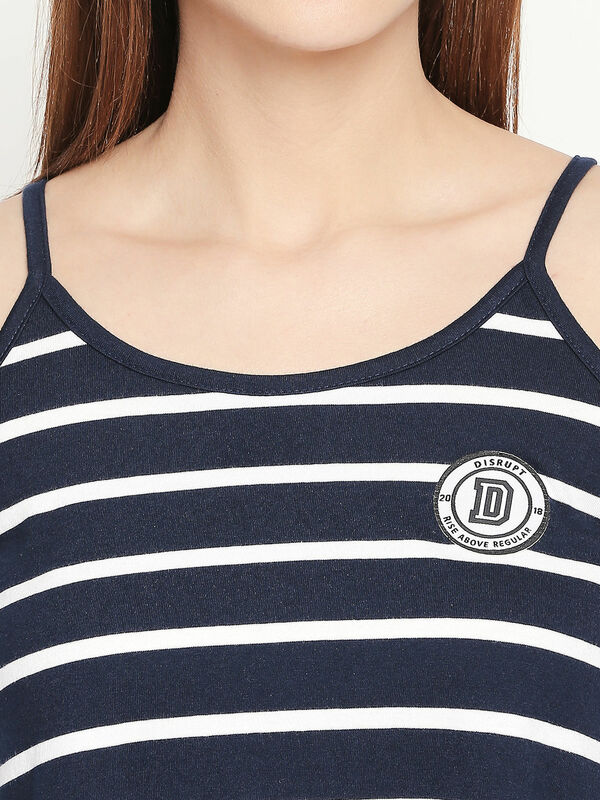 This scoop neck spaghetti dress having navy and white yarn-dyed stripes is a must have in your smart casual wardrobe. Pair this with sneakers for effortless weekend dressing.